Assalamualaikum wbt and happy day to all! It'll be only one day left until Raya and I can't wait to go for a road trip back to Penang with my husband and Marissa. Since we love strolling around the shopping mall and have been using the Beblum Navi Stroller for nearly the past 1 month, so here is my honest review on the stroller. As you all may know, Marissa has another stroller in which can transform from a car seat to a stroller in just a second. That stroller is a parent facing stroller and we like it because it is easy to use and quite small. It is just that the stroller is quite heavy. 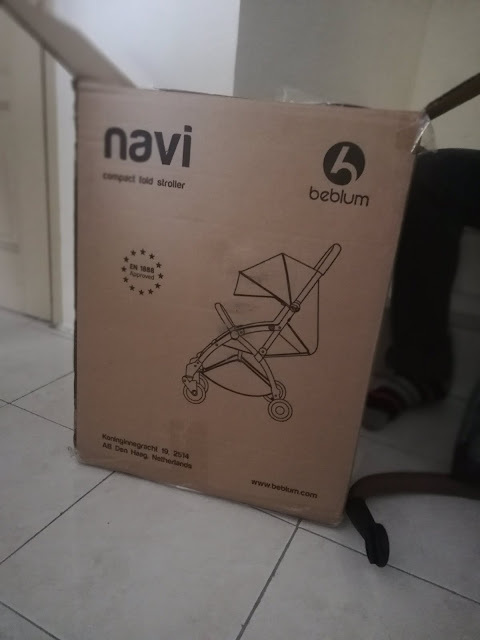 So, when Beblum Navi arrived I was super excited to play around with it. I have always wanted to see how small is this compact size stroller and indeed it is compact. 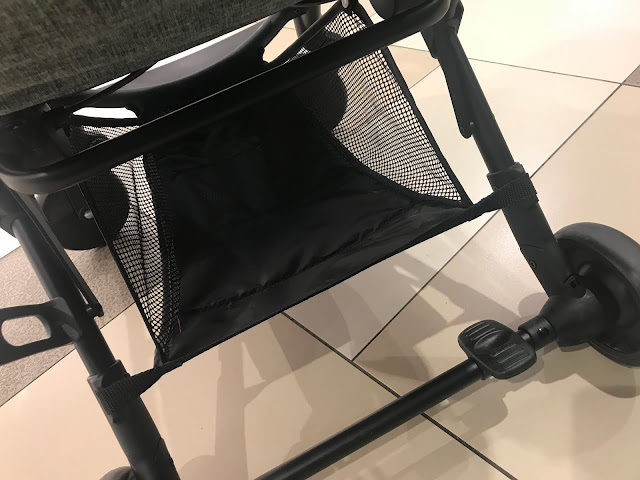 I am not sure if it is comparable to the other famous compact size stroller around but I can see that this one has similar fold size with the Easywalker mini so I think it should be okay. 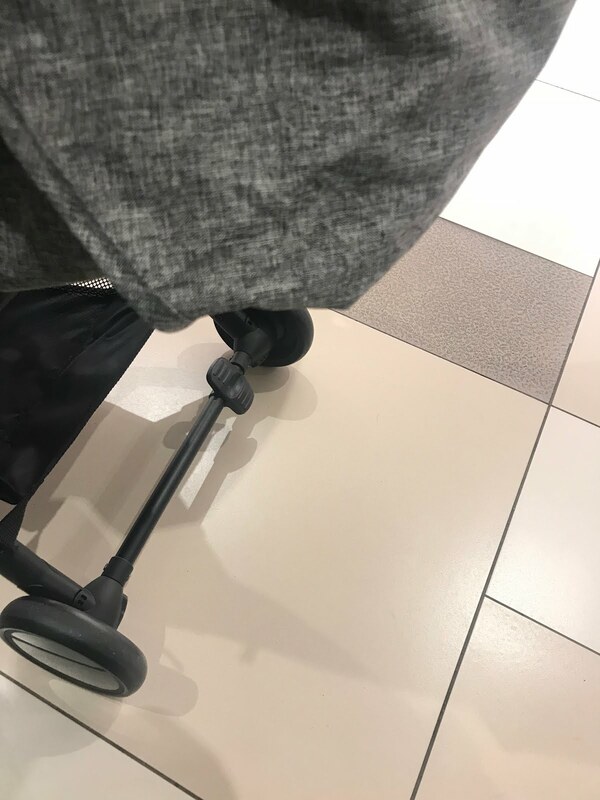 Since the arrival of the stroller nearly a month back, we have been using it whenever we are out for shopping and strolling around. The stroller is a front facing stroller and Marissa is having the time of her life since this would be her first time seeing the entire world by just sitting in the stroller. Usually she would only see her parent's face. Haha. She was so excited that she just looks at all the surroundings. Let’s see the specification of this stroller, shall we? 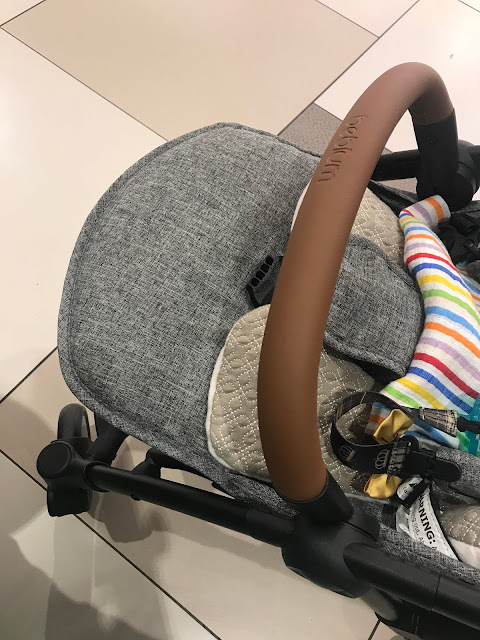 The stroller is also suitable to be used with Maxi Cosi Cabriofix and Pebbles car seat adapter (which is sold separately). 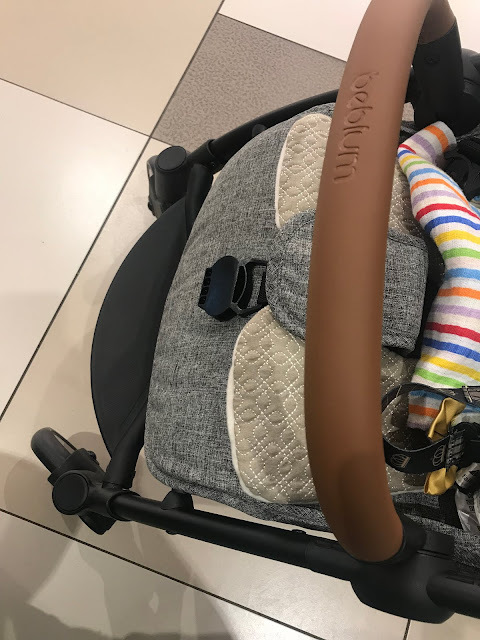 Let’s look at some of the features which I love love love love the most about this stroller! Ample size sunshade! It is HUGE! 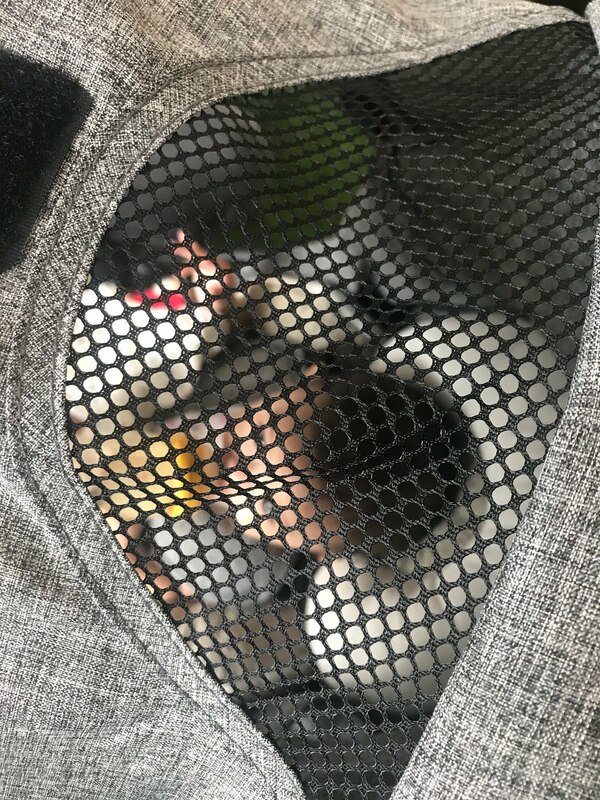 Plus, it has mesh window just for us to peek on Marissa occasionally. Adjustable leg rest. Whenever we wanted to let her feel a bit relaxed, we will recline the seat a bit and put the leg rest up. Whenever she wanted to sit, the leg rest will go down. One push break/lock and unlock. This is super simple and it takes no effort at all to lock the wheels. At first, I was a bit sceptical when it comes to a small lock like this but it does holds up to the weight of my baby quite well. When I tried to push the stroller when it is in a lock position, the stroller eventually did not move. So, it is a good sign, right? To me, this shopping bag compartment is okay. Not really an XL size but still ample to put a lot of stuffs inside. I could fit in Marissa's diaper bag easily and there is still some space left. 5 Point adjustable harness. My husband loves the harness lock. It is simple to lock and unlock without fuss. Simple and fast. 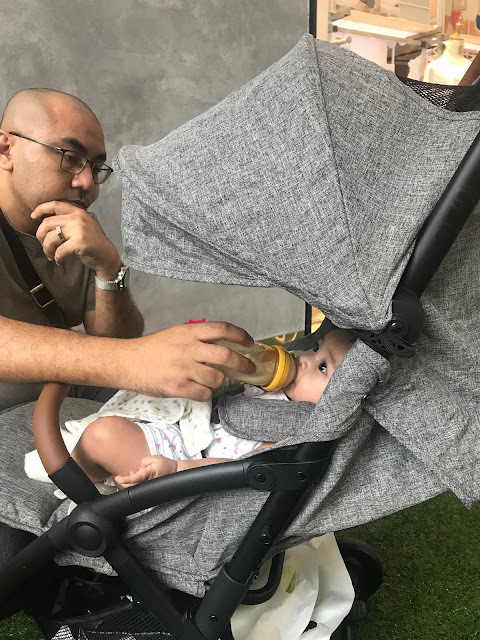 Overall, I am satisfied with the stroller and its features. Just few minor things which bothers me. One of it was the mechanism to reline the seat as sometimes it is a bit hard to push/retract. It seems that the lock is stuck. I am facing a bit of difficulties in that sometimes but I am not sure if it is factory faulty or just something that happened few times and it will just let go kind of problem. 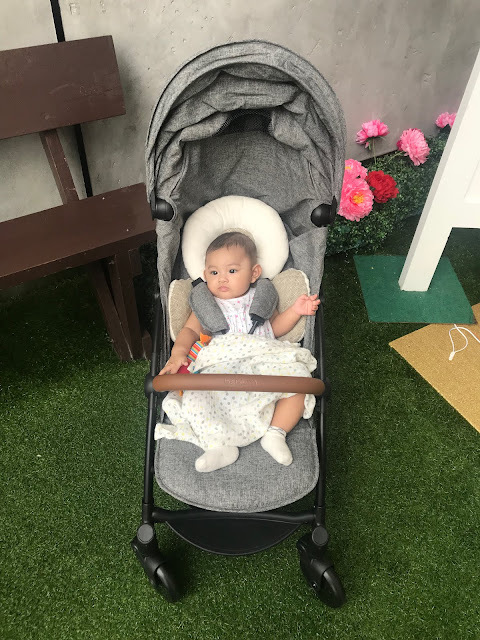 If you are looking for a compact stroller that is suitable for new-born until toddler plus with an affordable price and the sizes comparable with other expensive compact/cabin size strollers, this would be the one for you! If you are interested, please follow Beblum Malaysia's Instagram and Facebook page today! Our hassle-free return policy allows you to return any item in its original, unworn condition within 30 days for a full refund or exchange - no questions asked."